The 2019 Nissan Sentra for sale in Niles, IL is a vehicle designed with affordability and efficiency in mind. It’s one of the most efficient cars on the road, with top-of-the-line safety features, & the latest in technology. The 2019 Nissan Sentra also sports high driving performance & a spacious cabin. 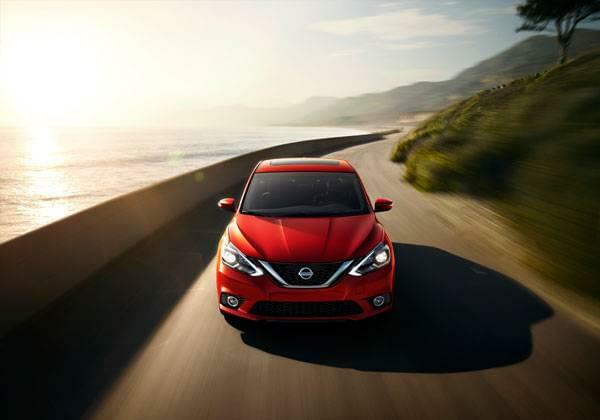 Visit Star Nissan today at 5757 W Touhy Ave in Niles to experience the 2019 Nissan Sentra’s luxurious style and performance that leaves a lasting impression. When you sit inside the 2019 Nissan Sentra, you immediately notice quality with fine soft-touched materials, heated seats, & optional leather-appointed interior. The Sentra has ample leg and headroom for both driver and passenger The 60/40 split rear seats and a fold-down front passenger seat makes transporting cargo easier and more flexible than ever with up 15.1 cubic feet of cargo space. Fuel Economy is important and the 2019 Nissan Sentra for sale in Niles, IL delivers! The Sentra has efficiency in the bag, whether you’re driving city or highway, with 29/37 mpg city/hwy. The 2018 Nissan Sentra has the newest version of Xtronic CVT transmission, shift points have been programmed to offer a traditional transmission feel that’s fun to drive while helping to improve fuel efficiency. The Xtronic CVT syncs up with your demands whether you’re passing another vehicle on the highway or cruising at a highway speed, the Xtronic CVT holds the transmission at an optimal rpm for a quick rush of linear acceleration and holds the rpm for an improved low fuel economy. Innovation in safety is what separates the 2019 Nissan Sentra from the competition. Features like the rear-view monitor, tire pressure monitoring system with easy fill tire alert, and blind spot warning all work together to ensure a safe and comfortable ride. The rear-view monitor assists you by while in reverse by giving you a direct look of what’s behind your vehicle. The tire pressure monitoring system informs you when your tire pressure is low, while the easy fill tire alert takes the guesswork out of filling your tires by beeping your horn when you’ve reached the correct pressure or beeping three times if you happen to overfill. The blind spot warning helps you change lanes with confidence by giving you a heads up if it detects any vehicles in nearby lanes. The 2019 Nissan Sentra wants you to be connected with your world while being safe at all times with its advanced technologies while driving. 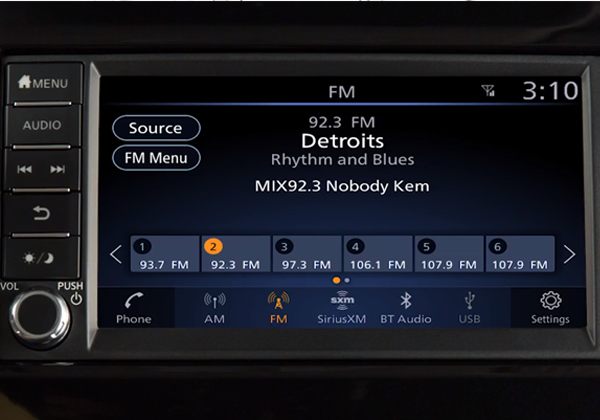 The new 7-inch touch-screen display replaces 5.8-inch touch-screen display and is now standard on all models. NissanConnect services and Nissan mobile apps assist you by serving up music, social media, points of interest and customizable alerts to help keep you informed of your vehicle’s speed and can be programmed to even set a curfew. The Siri Eyes Free technology keeps you connected and driving responsibly while letting you access Siri through the touch of button to let you make calls, send text messages, and even set reminders, all without having to take your eyes off the road. The Bose premium audio was designed specifically for the Sentra’s interior to fill the whole vehicle with powerful, clear audio from eight individually-tuned speakers for an unmatched audio experience that’s so rich you’ll feel like you’re in a concert hall. 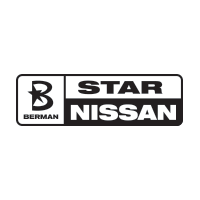 You can visit Star Nissan at 5757 W. Touhy Ave in Niles, IL to see the 2019 Nissan Sentra. You can contact us to schedule an appointment, or get directions below! Want to know more? 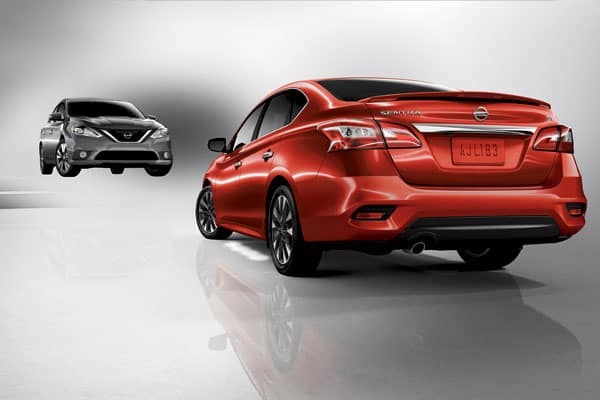 Check out the different 2019 Nissan Sentra Trims to learn more!